Xiaomi Mi Max 3 is all set to break covers in the third week of July, in Beijing. It boasts two major upgrades over the Mi Max 2 in terms of design and internal hardware. Here are the key features of the upcoming Android phone. The long-rumoured big-screen smartphone Mi Max 3 is expected to finally see the light of day later this month in China. 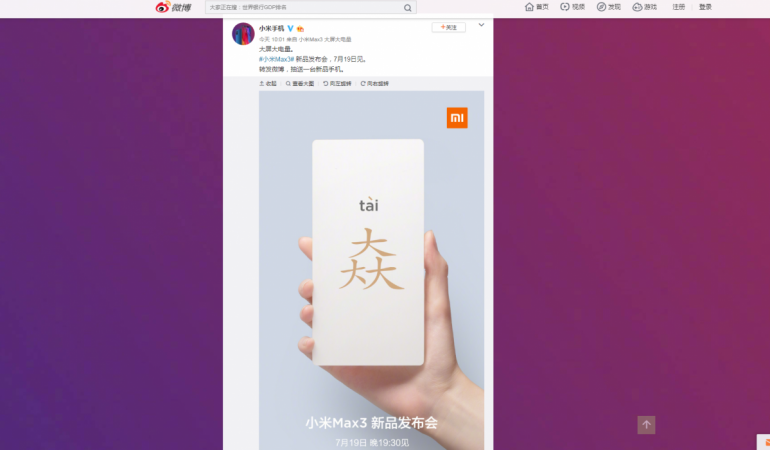 The company has started sending out media invites for a product launch on July 19 to unveil the Mi Max 3 in Beijing. 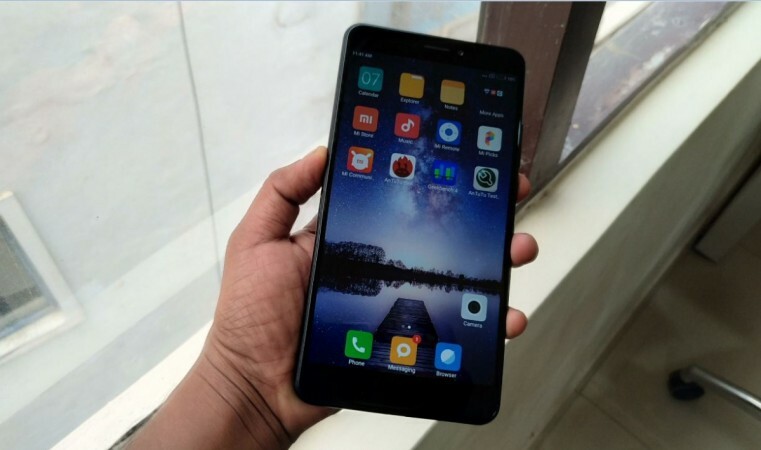 For the last two years, Mi Max series, despite Xiaomi having a huge portfolio of mobile phones in Mi and Redmi series, has managed to create a cult of its own among smartphone users who prefer a larger screen and battery. Mi Max series is an epitome of the hybrid phablet category, which blurs the line between a smartphone and a tablet (7.0-inch or more). With feature-rich customisation options of MIUI, it is easy for users even with smaller hands to operate single-handedly. This year, the Mi Max 3 is expected to come with major upgrades both in terms of design and internal hardware over the impressive 2017-series Mi Max 2. Like the current crop of phones, it comes with the latest design standards including the 18:9 display aspect ratio. It will sport a massive 6.9-inch full HD+ (2160x1080p) screen. Under-the-hood, it is expected to come packed with a Qualcomm Snapdragon 632 octa-core backed by Android Oreo-based MIUI OS, and a mammoth 5,500mAh battery, which will be more than enough to run the device for two days under mixed usage. It will be sufficient to play videos for than 16 hours. Mi Max 3 is also the first of its series to come with dual-camera. It is said to come with 12MP (with Sony IMX363) and a secondary snapper 5MP for in-depth scene recognition. With two sensors, the phone will offer Portrait mode to take Bokeh blur effect. On the front, it is said to come with an 8MP shooter with wide-angle lens good enough for the user to take group selfies with ease. Like previous iterations, the new Mi Max 3 will be available in multiple variants. It is expected to come with 3GB RAM+32GB storage, 4GB RAM+64GB storage and 6GB RAM+128GB options. Word on the street is that Xiaomi might unveil Mi Max 3 Pro with a more powerful configuration including Snapdragon 710 octa-core with 6GB RAM and 128GB storage.